Joseph Patrick Obechina, son of the late Edward Joseph Obechina and Della Richards Obechina was born September 1, 1963 in Laguna California. He was raised in Colorado from 1964 to his death. He graduated from Green Mountain High School in 1981. He joined the Marine Corp in 1983 and continued in the Marine Corp Active Reserve until being honorably discharged in 1989 as a Sergeant. 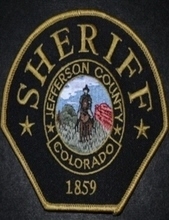 In 1987 he joined the Jefferson County Sheriff’s Department. Joe covered many areas while there including working in the jail, work release, transportation, booking, patrol, SORT, criminal investigations, auto and drug task forces. He retired after 29 years of service. His life will forever be cherished in the lives of his children: Nichole (Charles) Hemming, Shana (Daniel) Lauffer, Brianna (David) Engstrom, Jordan Obechina; eight grandchildren Kaydn Smiley, Ryin Smiley, Jess Ramirez, Nico Hemming, Antonio Hemming, Adalyn Obechina, Samuel Lauffer and Evelyn Lauffer; sister, Bridget Obechina; sister, Desiree (Mike) Dallas; sister, Rochelle Obechina; sister, Renee Rice; brother, Jeff (Amber) Obechina; numerous nieces and nephews, aunts and uncles, and a host of devoted friends and extended family. "In lieu of flowers Joe requested that donations be made to the MC 1 Foundation" or to The American Cancer Society. About M 1: The MC1 Foundation’s primary purpose is to provide financial support to public service employees and/or their families in the event that they are hurt or killed while on duty providing service for their communities. To send flowers or a remembrance gift to the family of Joseph Patrick Obechina, please visit our Tribute Store. "Email Address" would like to share the life celebration of Joseph Patrick Obechina. Click on the "link" to go to share a favorite memory or leave a condolence message for the family.